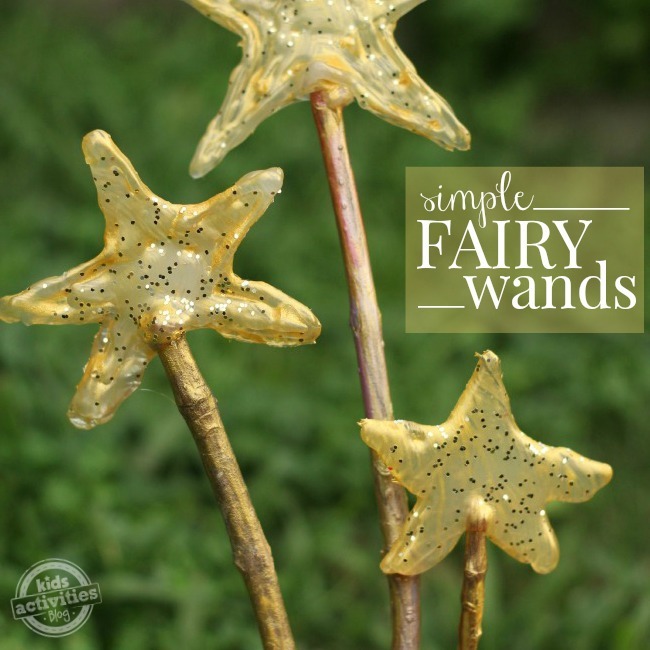 Today, I’m thrilled to be sharing these easy fairy wands. My daughter was sitting on the couch when I walked in with these fairy wands. For me, there could be no better reaction. Especially because they were deceptively easy to make! 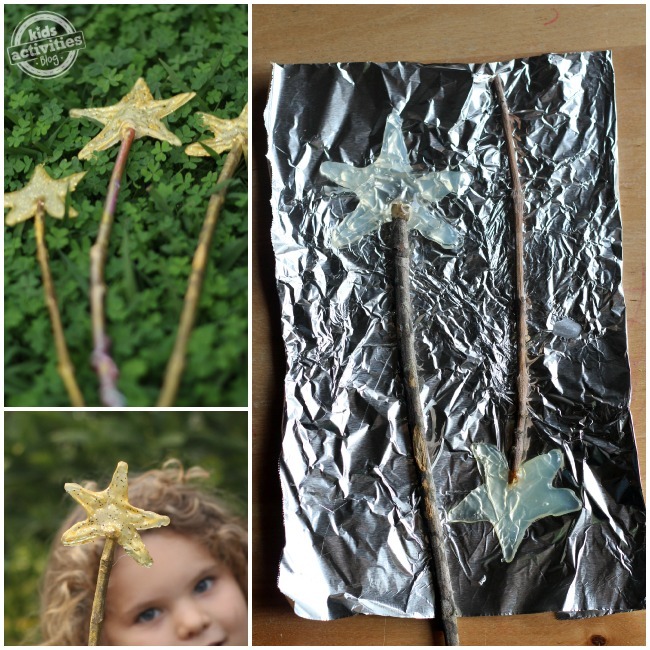 Wax paper – you’ll see that I used aluminum foil, but it will stick a little to your stars. Wax paper is best. Trace a star at the top of the sticks. Make sure to put glue over the top of the stick. Trace an extra layer of glue around the star outline you just made. Then, fill in the star with more glue. When you’re done filling in the star, put extra glue at the joint where the star and stick overlap. Be generous here – that extra glue will help keep the star on top of the wand. Peel the star apart from the wax paper. Paint and add glitter while the paint is still wet. Tip: I was shocked that I could free hand the star shape (who knew I could do that?!). If you need help, put an outline of a star shape underneath your wax paper to trace. Make these for a slumber party or birthday party craft. 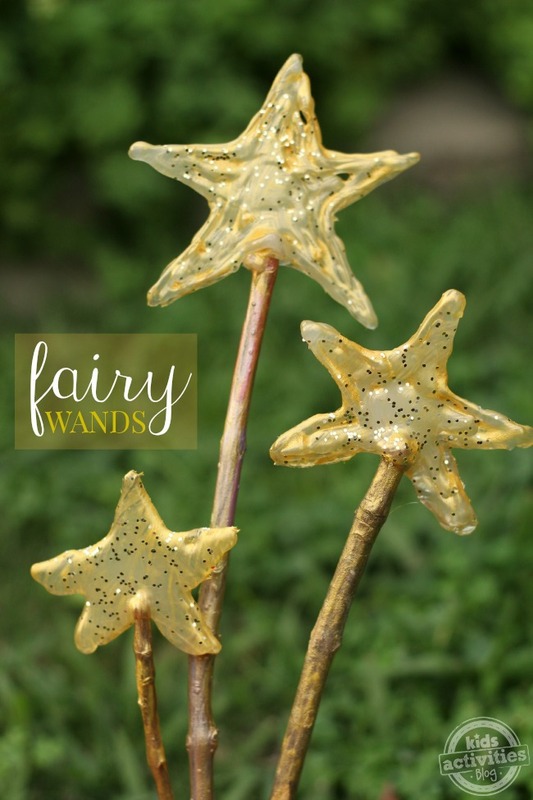 Kids will love having their own unique fairy wand that is so simple to make. Check out our fairy birthday countdown and how to make a fairy sandwich.